Elder Law encompasses a wide range of legal topics that address the needs of seniors. It is a specialized area of the law that involves representing, counseling, and assisting seniors and their families in connection with issues that arise when a person becomes partially or wholly incapacitated. For example, advanced directives, housing alternatives, governmental benefits, estate planning, and estate and trust administration. The Keller Legal Group understands that aging can be a challenging and difficult time. There can be health considerations, financial concerns, as well as emotional turmoil. Our staff will carefully listen to your concerns and goals and offer solutions either in the form of written legal documents, advocacy or advice. Whether you are planning years in advance or you find yourself or a loved one in an urgent situation, please contact our law office today to schedule an appointment. Elder abuse generally refers to any of the following types of mistreatment that are committed by someone with whom the elder has a special relationship (for example, a spouse, sibling, child, friend, caregiver, or institution such as a residential facility). Sexual Abuse—Non-consensual sexual contact of any kind, and coercing an elder to witness sexual behaviors. Financial Exploitation—Illegal taking, misuse, or concealment of funds, property, or assets of a vulnerable elder. The Keller Legal Group wants to help put an end to Elder Abuse. If you believe or suspect that elder abuse is taking place it’s important to speak up. Please contact our law office today to schedule an appointment. Advance Directives enable competent individuals to set forth in advance their wishes for health care in the event of their subsequent incapacity. The most often used Advance Directives are the Health Care Proxy and the Living Will. Advance Directives are the best way to ensure that your express wishes for health care are known and honored. A Health Care Proxy allows you to appoint a person to be your “agent” to act on your behalf if you are unable to do so yourself. A Living Will is a document that lets you tell your family, friends, and doctors what you do or do not want if you are diagnosed with a terminal condition or are permanently unconscious and unlikely to recover. You may choose to decline treatment that prolongs the dying process. Having a robust Health Care Proxy, Living Will, Durable Power of Attorney and a Supplemental Gift Rider can often eliminate the need for a Guardianship proceeding. The Keller Legal Group will draft Advanced Directives specifically for your needs and will explain how to use them, when to use them, and who should be given copies. Please contact our law office today to schedule an appointment. A Durable Power of Attorney is a legal document in which one person gives another person the power to act on his or her behalf. The key word “Durable” means that the document stays in effect even if you become incapacitated and are unable to handle matters on your own. The Power of Attorney is only valid while the Principal is alive. Upon your passing, your estate will be managed according to your Will. The person who executes the Durable Power of Attorney is called the “Principal”. The person who is given the power to act on behalf of the Principal is called the “Attorney-in-Fact”, or “Agent”. The Durable Power of Attorney document does not eliminate the power of the Principal it simply provides power to the agent to act in addition to the principal. If you do not have a Durable Power of Attorney and you become incapacitated, there will be no individual who can act on your behalf or access your individual assets to pay any of the expenses arising from your incapacity. If you become incapacitated without a Durable Power of Attorney, (or a joint banking relationship) then only a court appointed guardian may access your assets. The legal proceeding to appoint a guardian is often expensive, time consuming, unpleasant and may result in the appointment of someone you would never want to act on your behalf. Using a Durable Power of Attorney avoids the necessity of a guardianship. 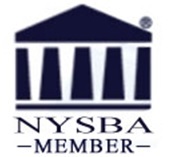 New York law provides a standard form commonly known as the “Statutory Short Form.” The Statutory Short Form has the basic powers but can be modified to be more specific to your current and anticipated needs. The Principal can decide what powers he or she wishes to grant the attorney-in-fact. The Principal must only appoint someone they trust because once the document is signed it is effective and the agent’s powers are exercisable. The agent should be someone who will act carefully and prudently. They will be held to the highest standard of good faith, fair dealing and undivided loyalty with respect to you and your property. The person designated as agent should of course agree to the duties of agent before they are appointed as your agent. And you can always revoke their appointment. Certain powers cannot be granted in a Durable Power of Attorney such as the right to vote, authority to execute a Will, the power to get married or seek a divorce, the power to execute a new or amended Durable Power of Attorney, or the power to execute a new or amended Health Proxy or Living Will. Only the Health Care Proxy Agent can make decisions regarding life-sustaining measures. A Power of Attorney can be revoked by a principal who is of sound mind (not incapacitated) either by writing or by other action expressing an intent to revoke, for example, the intentional destruction of the document. It’s a good idea to send the agent written notice of the revocation by certified mail, with copies to any third parties who may have dealt with the agent. It’s also a good idea to write on the back of the Power of Attorney the name of each individual who was given a copy of the document. This way, the principal will be able to advise all copy holders of a revocation. New York Law has another form known as a "Statutory Gift Rider" (SGR). The SGR provides optional gifting powers. For example it allows the Principal to authorize their Agent to make gifts in excess of an annual total of $500.00. There are many positive reasons why the Principal should use a SGR. For example (1) Medicaid planning (2) access to 401k and IRA accounts and (3) eliminate need to file for Guardianship. The SGR must be executed simultaneously with the Durable Power of Attorney so that it is read as one document. The Keller Legal Group will draft a Durable Power of Attorney and the Statutory Gift Rider specific for your needs and will explain how to use them, when to use them, and who should be given copies. Please contact our law office today to schedule an appointment. Government programs and services can help optimize your health, wellbeing and ability to live independently. Here’s a quick guide to a few of the programs. Contact the Department of Aging in your community. Your local representative can also be helpful. Social Security Retirement (SSR): SSR is a program for seniors funded by the federal government. Eligibility to receive SSR is based on one’s work history, while the amount of monthly benefits received reflects past earnings. The age at which you can start receiving full Social Security retirement benefits is a moving target and depends on the year you were born. You can elect to take benefits early at age 62 (earlier only if you are a survivor or on disability), or wait as late as age 70. Full retirement age (also known as normal retirement age, or NRA) is when you're eligible to receive full Social Security benefits. The full retirement age used to be 65 for everyone. Under current law, if you were born in 1938 or later, your full retirement age is now some point after age 65—all the way up to age 67 for those born after 1959. For further information on eligibility requirements and monthly benefits amounts see ssa.gov. Social Security Disability (SSD): SSD is another federal program based on one’s work history and earnings. It’s available to workers who, although younger than retirement age, are now disabled. A disabled person has a physical or mental impairment that is expected to last at least 12 months, or to result in death, and keeps them from performing substantial gainful activity. For more information on SSD benefits see socialsecurity.gov/disability. Medicare: Medicare is the national health program that covers seniors aged 65 and older, and people with disabilities. Seniors who do not have 40 or more quarters of Medicare-covered employment, but are otherwise eligible, may enroll by paying monthly premiums. Those who are younger than 65, but have been receiving SSD for 24 months or longer, are also covered by Medicare. For more detailed information, go to medicare.gov, and type in “Medicare & You” in the search box. Veterans’ Benefits: The U.S. Department of Veterans Affairs was established to operate programs to benefit veterans and their families. Established in 1989, its predecessor was an independent agency, the Veterans Administration, which had been created in 1930. The department is divided into the Veterans Health Administration, the Veterans Benefits Administration, and the National Cemetery System. It manages veterans’ hospitals and clinics, and oversees the eligibility and disbursement of disability pensions, veterans' educational assistance programs, vocational rehabilitation for disabled vets, and the mortgage loan guaranty program. If you or an elder family member served in the military, you may qualify for some or all of these benefits. Elderly Pharmaceutical Insurance Coverage (EPIC) Program: EPIC is New York State's pharmaceutical prescription plan for older adults. Eligible individuals can save more than half the cost on most of their brand name or generic prescription drugs, including insulin and insulin syringes. There are two plans under EPIC: the Fee Plan and the Deductible Plan. To be eligible for EPIC, you must be 65 years of age or older and a resident of New York State for at least six months. Those with full Medicaid benefits or prescription drug coverage of 70 % or more do not qualify for EPIC. Application forms are available at participating pharmacies. You may also call EPIC at 1-800-332-3742. Access-A-Ride: MTA New York City Transit operates Access-A-Ride, the City’s paratransit system. Access-A-Ride (AAR) provides transportation for people with disabilities who are unable to use public bus or subway service for some or all of their trips. It offers shared ride, door-to-door paratransit service. MTA New York City Transit administers AAR; private carriers under contract to NYC Transit provide service. Service is available 24 hours a day, seven days a week, including holidays. To apply visit the MTA Web site at http://web.mta.info/nyct/paratran/guide.htm or call (718) 330-3322 or TTY (718) 596-8273. Meals-On-Wheels: To qualify for home-delivered meals, a person must be at least 60 years old. In addition, the individual must have a chronic physical or mental disability preventing him or her from shopping for food or preparing meals for himself or herself. In New York City, a network of case management agencies provides home-delivered meals and every client must receive an assessment visit by a case manager from his or her local case management agency. To request meals-on-wheels service, a person should call the case management agency serving his or her local community. To find the appropriate agency, please contact Citymeals-on-Wheels' Program Department at getmeals@citymeals.org or 212-687-1234. Senior Citizen Rent Increase Exemption (SCRIE): SCRIE is a program that can freeze the rents for senior citizens living in the following types of housing in New York City: rent-stabilized, rent-controlled, Mitchell-Lama and Redevelopment Company buildings (both tenants and co-op shareholders are eligible), HDFC co-ops, and Federally-assisted co-ops buildings regulated by the loft board To be eligible: the tenant, or the older spouse of the tenant, must be 62 or older, household income (after deductions including all income taxes and Social Security taxes) must be less than $50,000, the rent must be at least 1/3 of the household income as of the time of the application or as of the effective date of an upcoming rent increase. Disabled tenants, regardless of age, may be eligible for DRIE - Disability Rent Increase Exemption. For more information go to http://metcouncilonhousing.org/help_and_answers/scrie. School Tax Relief Program (STAR): STAR is the New York State School Tax Relief Program that provides a partial exemption from school property taxes. All New Yorkers who own and live in their one-, two-, or three-family home, condominium, cooperative apartment, manufactured home, or farm dwelling are eligible for a STAR exemption on their primary residence. The “Basic” STAR exemption is available for owner-occupied, primary residences regardless of the owners’ ages or incomes. Basic STAR works by exempting the first $30,000 of the full value of a home from school taxes. For more information go to the New York State's STAR exemption website. http://www.tax.ny.gov/pit/property/star/index.htm or contact your local tax assessor's office for information. The Keller Legal Group can help you navigate the government bureaucracy and look out for your best interests. We can advocate on your behalf and/or assist in completing and submitting the myriad of applications. The Keller Legal Group can also provide you with information regarding private organizations that can provide assistance. Please contact our law office today to schedule an appointment. Adult Guardianship is the court appointment of one person to make health care and financial decisions for another person. It takes away the legal right of the person for whom a guardian has been appointed. There are times, even with proper planning, when guardianship is unavoidable. Guardians may need to be appointed to consent to facilitate a move to a safe environment, to gain access to financial assets, or to protect a senior or younger family member with special needs from dangerous situations. In New York State, there are two different types of guardianships. Under Article 81 of the Mental Hygiene Law, a guardian can be appointed for a person who has become incapacitated due to an accident, illness or old age (such as in the case of the onset of dementia). Under Article 17-A of the Surrogate’s Court Procedure Act, a guardianship can be pursued for persons determined to be mentally or developmentally disabled. Article 81 guardianship proceedings are commenced in Supreme Court, in the county in which the incapacitated person resides. They are required to be heard within approximately 28 days from the date the initial papers were reviewed by the court. You don’t need an attorney (although one is recommended). The pleadings filed set forth the disability of the alleged incapacitated person, as well as their assets, income and liabilities, health insurance provider information, prognosis and requested powers. The judge will appoint a Court Evaluator who is charged with speaking with all parties involved and is required to provide a written report regarding a general overview of the case to the court. The court will use this report when making its decision. The party applying for appointment of the guardian can request that a particular person or a neutral third party be appointed. The guardian, once appointed, will begin handling the affairs of the person. Guardians are subject to court oversight and must file formal reports at regular intervals. Article 81 guardianship proceedings are designed to be flexible and tailored to meet each person’s specific needs. The powers granted to the guardian are only those necessary to meet the needs of the incapacitated person, while allowing them as much independence as possible. As a person’s disability improves or worsens, the guardian’s powers can be decreased or increased as appropriate. The Keller Legal Group can assist clients or their friends and family through the Guardianship process, advising Guardians on their powers and responsibilities and helping prepare the necessary court proceedings and proper accountings to the court. Please contact our law office today to schedule an appointment. A Health Care Proxy is a document that designates a person to make health care decisions for you should you become unable to do so yourself. It is possible that because of illness or injury, you may be unable to talk to a doctor and make decisions about your treatment. Preparing a Health Care Proxy and a Living Will can help ensure your wishes are followed. Your agent’s authority to make health care decisions under the law is activated upon a determination by your attending physician, to a reasonable degree of medical certainty, that you have sustained loss of your capacity to make such health care decisions. Your health care agent cannot act under the proxy until such determination has been made. Your agent will have the authority to decide whether or not your heart beat should be restarted through cardiopulmonary resuscitation (CPR) unless you write in your Health Care Proxy form that your agent cannot make this decision for you. Once your agent’s authority begins, he or she has the right to get your medical information and records to make informed health care decisions for you. Your agent’s decision is final unless an objecting family member or facility obtains a court order overriding the decision or disqualifying the agent. Your agent is not financially responsible for the cost of your care. Overall, your agent is required to make health care decisions for you according to your wishes, religious and moral beliefs, and in your best interest. Picking your health care agent is a very important decision. Generally, you have the right to appoint any competent adult (18 years of age or older) as your health care agent. Your agent may be your spouse or partner, an adult child, a relative, a close friend or a lawyer. Choose someone you trust—and someone with whom you feel confident discussing your wishes for medical care. Your agent need not agree with all of your wishes, but must be capable of carrying them out, regardless of his or her own feelings. And, of course, it is always good practice to make sure the person you appointed as your agent is comfortable serving as your agent. Under New York’s Health Care Proxy law, you cannot appoint the doctor that would determine your capacity as your health care agent. You cannot appoint an operator, administrator, or employee of the hospital or nursing home where you are admitted unless they are a relative or you appointed them before your admission. And you cannot appoint a non-family member that is already the agent for ten principals. While the law does not require you to name an agent living in the same city or state as you do, it is a good idea to choose someone who lives nearby. If you are terminally ill, for example, and unable to make decisions for yourself, your agent may have to spend weeks or even months nearby to ensure your health care wishes are followed. Your alternate agent can take over from your first choice only if: You specify the circumstances under which you would like your alternate agent to take over from your agent. For example, if you want your alternate to serve if your first choice moves out of state; or your doctor states in writing that your first choice as health care agent is not available, unwilling or unable to act when needed; or a court disqualifies your agent. Two witnesses must watch you sign your Health Care Proxy form and say that you appeared to sign willingly. Neither your agent nor your alternate agent can serve as a witness. A proxy remains effective indefinitely unless the proxy document includes an expiration date or a description of circumstances that trigger expiration. Even if a proxy contains an expiration date, if the patient loses decision–making capacity before that date, the agent continues to have decision–making authority for as long as the patient lacks capacity. An adult can revoke a health care proxy by any words or actions showing an intention to revoke, or by creating a new proxy. If an adult appoints his or her spouse as agent and later there is a divorce or legal separation, the appointment is automatically revoked unless stated otherwise by the person who created the proxy. Give a copy to your agent, doctor and other family members or close friends. Keep a copy with your important papers. You might want to put a note on your refrigerator telling who your agent is and where a copy of the proxy is. The Family Health Care Decisions Act (FHCDA) of 2010 allows family members or a close friend (if there are no family members) to act as a “surrogate” or representative of the patient to make health care decisions, including withholding or withdrawing of life-sustaining treatment, for a patient who loses the ability to make those decisions when the patient has not signed a health care proxy. The law includes extensive rules and procedures to protect the patient. Even with the FHCDA, New Yorkers are encouraged to sign a health care proxy, which allows the person you appoint, called your health care agent, to make health care decisions if you later lose capacity to make those decisions. Under the FHCDA, your surrogate’s role will be very similar to a health care agent. However, a surrogate only has authority to act if you are in a hospital or a nursing home or if the decision is about hospice care. A health care agent may make decisions wherever you are. The Keller Legal Group can provide you with a Health Care Proxy that meets your needs including documents that meet Halachic and/or Christian Scientist requirements. Please contact our law office today to schedule an appointment. Both the Health Care Proxy and the Living Will are considered Advance Directives but they are NOT the same thing. A Living Will is a document that contains your health care wishes and is addressed to unnamed family, friends, doctors, hospitals and other health care facilities. You may use a Living Will to specify your wishes about life prolonging procedures and other end of life care so that your caregivers can read your specific instructions when you are unable to communicate your wishes. A Health Care Proxy is significantly different from the Living Will in that it empowers another person (the agent) to make health care decisions if the patient cannot do so her/himself. The Keller Legal Group will draft Advanced Directives for you and will explain how to use them, when to use them, and who should be given copies. Please contact our law office today to schedule an appointment. The Health Insurance Portability and Accountability Act of 1996, also known as “HIPAA,” governs the exchange, privacy, and security of health information. In order to obtain medical or health information from a health care provider (ex. insurance company, government agency, hospital or doctor), a person other than the principal needs a HIPAA release. A HIPAA release can be incorporated within the health care proxy and/or the durable power of attorney. However, there is a strong argument why clients should execute a separate release: For example (1) Health Care Proxies are not effective until a Doctor has declared that the principal is incapacitated and the principal may want family members or friends to have access to medical records and to be able to speak with doctors and insurance companies without being declared incapacitated; and (2) In New York only one Health Care Proxy Agent can be appointed at a time and the principal may wish to have multiple individuals have access to their records and be able to communicate with the medical providers. The Keller Legal Group can quickly and effectively draw up a HIPAA Release, obtain the principal’s signature and have it notarized. Please contact our law office today to schedule an appointment. Choosing a place to live at any age can be challenging and stressful. But growing older and having to transition to different types of housing due to health and safety can be especially disruptive, stressful and may feel stigmatizing. Whether you are considering a change for yourself or a parent, there are many options and many types of housing and services offered. Aging in Place: Staying at home is most people’s first choice. That often entails an understanding of local services and eligibility for those services. Assisted Living: In general, assisted living is a housing option for those who need help with some activities of daily living, including minor help with medications. Costs tend to vary according to the level of daily help required, although staff is available 24 hours a day. Nursing Home: This is normally the highest level of care for older adults outside of a hospital. While they do provide assistance in activities of daily living, they differ from other senior housing in that they also provide a high level of medical care. A licensed physician supervises each resident’s care and a nurse or other medical professional is almost always on the premises. Skilled nursing care and medical professionals such as occupational or physical therapists are also available. Continuing Care Retirement Community (CCRCs): CCRCs are facilities that include independent living, assisted living, and nursing home care in one location so seniors can stay in the same general area as their housing needs change over time. There is normally the cost of buying a unit in the community as well as monthly fees that increase as you require higher levels of care. It also can mean spouses can still be very close to one another even if one requires a higher level of care. Independent Living: This is any housing arrangement designed exclusively for seniors, generally those aged 55 and over. Housing varies widely, from apartment-style living to freestanding homes. In general, the housing is friendlier to older adults, often being more compact, with easier navigation and no maintenance or yard work to worry about. While residents live independently, most communities offer amenities, activities, and services. Often, recreational centers or clubhouses are available on site to give seniors the opportunity to connect with peers and participate in community activities, such as arts and crafts, holiday gatherings, continuing education classes, or movie nights. Independent living facilities may also offer facilities such as a swimming pool, fitness center, tennis courts, even a golf course or other clubs and interest groups. Other services offered in independent living may include onsite spas, beauty and barber salons, daily meals, and basic housekeeping and laundry services. The key difference between independent living and other housing options is the level of assistance offered for daily living activities. If you require round-the-clock help with eating, dressing, and using the toilet, or require regular medical assistance, assisted living facilities or nursing homes may be a better fit. The Keller Legal Group can help evaluate your situation, investigate and report on housing alternatives, assist with the real estate transaction and facilitate the move. If you or a loved one is looking for more information regarding housing alternatives please contact our office for an appointment. A Living Will is a written declaration of your health care wishes. In your Living Will you can leave specific instructions about your medical treatment that you may or may not want when you are no longer able to decide for yourself. New York does not have a statute governing Living Wills, however the Court of Appeals, New York’s highest court, has stated that Living Wills are valid as long as they provide “clear and convincing” evidence of your wishes. If you are 18 years of age or older, you may express your wishes in writing about your health care by signing a Living Will. A Living Will becomes effective if you are terminally ill and unable to express your wishes regarding health care or if you are permanently unconscious. In both cases, two physicians, not just one, must agree that you are beyond medical help and will not recover. If you have indicated that you do not want your dying to be artificially prolonged and two physicians say that there is no reasonable hope of recovery, your wishes will be carried out. The Keller Legal Group will discuss your goals and desires and draft your Living Will to meet your needs. We will explain how and when the Living Will is used and who should be given copies. Please contact our law office today to schedule an appointment.